How much does your vehicle cost in fuel and maintenance? How good is your fuel economy? 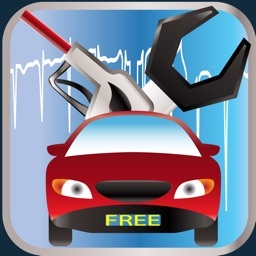 When is your car due for service? 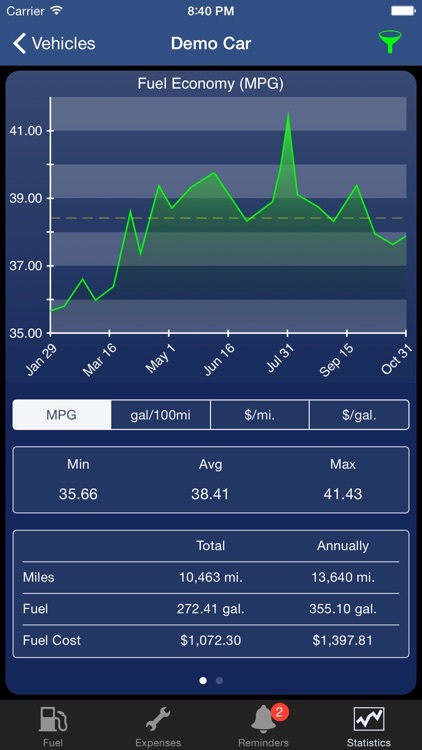 With "CarXpenses" you can keep track of all expenses relating to your vehicle, calculate fuel economy (MPG, gal/100mi, km/L or L/100km), and keep track of your service agreements. 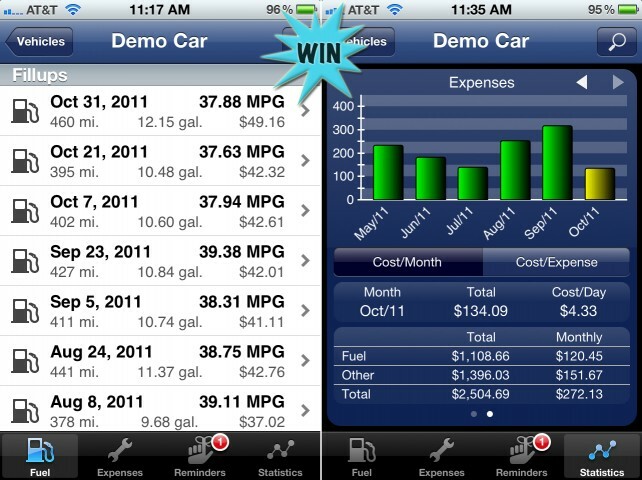 "CarXpenses is the latest, and quite possibly the greatest, app for keeping track of all your auto-related expenses." "The app is extremely easy to use and has nice, clean graphics." 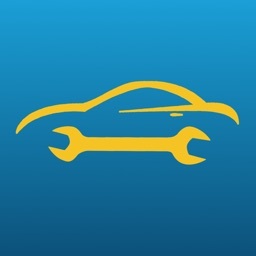 ⁃ Create and manage an arbitrary number of vehicles. ⁃ Lightweight and flexible data entry. 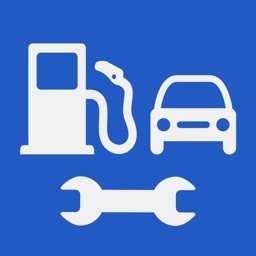 ⁃ Calculation of fuel economy (MPG, gal/100mi, km/L or L/100km). 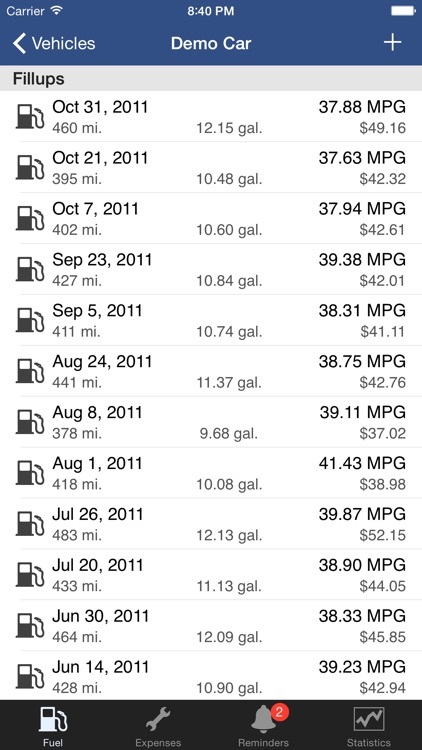 ⁃ Calculate/estimate annual fuel consumption and mileage. 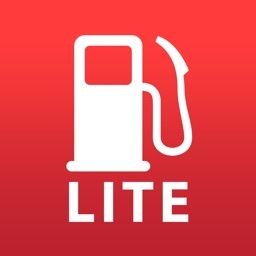 ⁃ Support for metric (kilometers, liters) and US/imperial (miles, gallons) units. 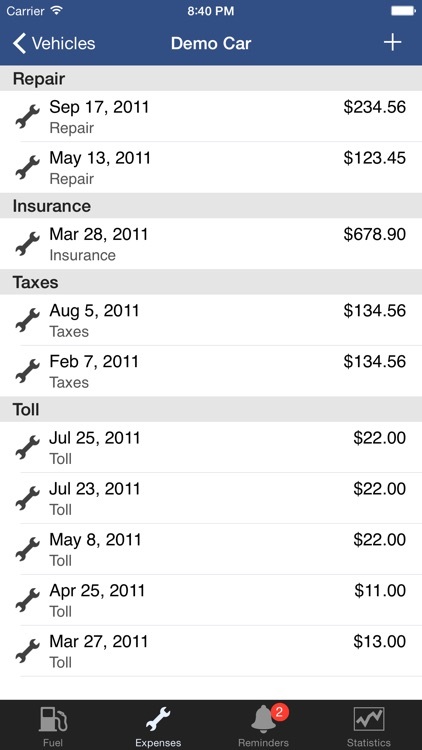 ⁃ Registration of all types of expenses (add new types of expenses as required). 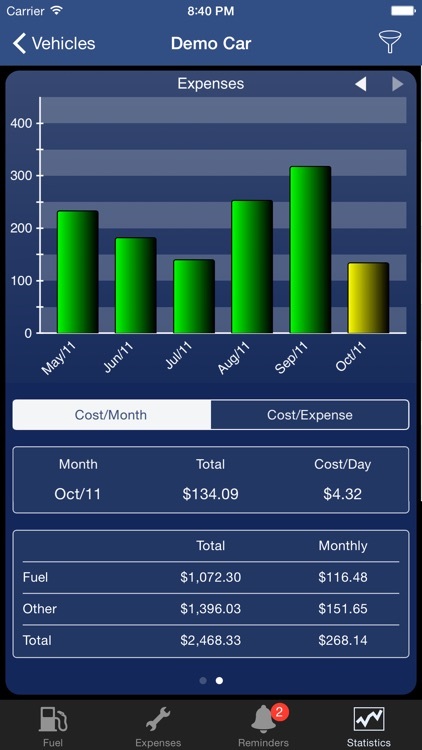 ⁃ See cost distributed by month or type of expense. 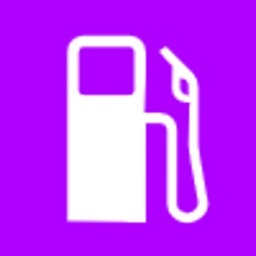 ⁃ Comprehensive statistics and graphical presentation of fuel economy and expenses. ⁃ Service reminders based on date and/or mileage. ⁃ Backup of all data and settings (support for iTunes file sharing). 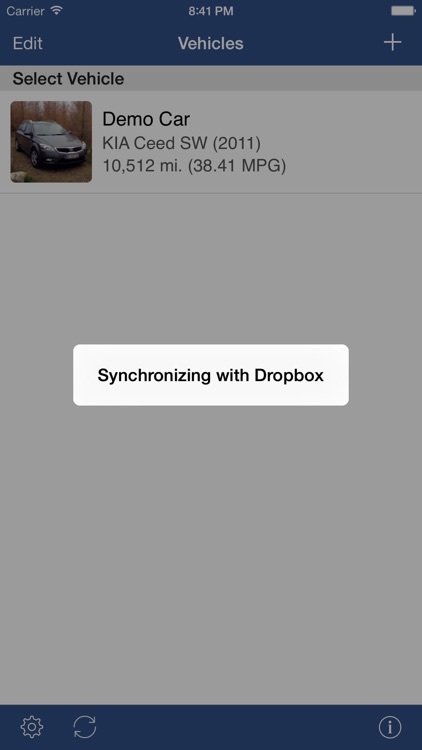 ⁃ Dropbox backup and synchronization. ⁃ Synchronization between multiple devices. ⁃ Export to spreadsheet (CSV format). Here's your chance to win CarXpenses ($1.99) for iPhone and iPod touch.